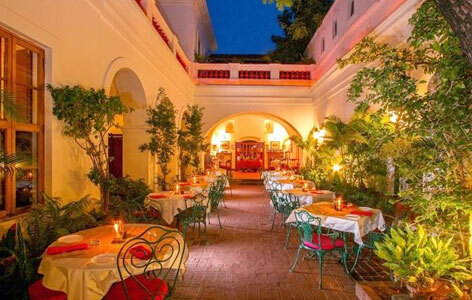 "The Hotel de L'Orient, Pondicherry dates back to the late 1760's. It was built during the time of French occupation in Pondicherry when the birth of most of the current Pondicherry hotels began. The house was formally acquired by the Neemrana Group of Hotels in October 1998 in a ravaged state. Restoration began in 1999 and in few years it opened its doors for guests. Most of the architecture has been preserved with minimal changes. The old-world charm has been retained with careful addition of modern luxuries. 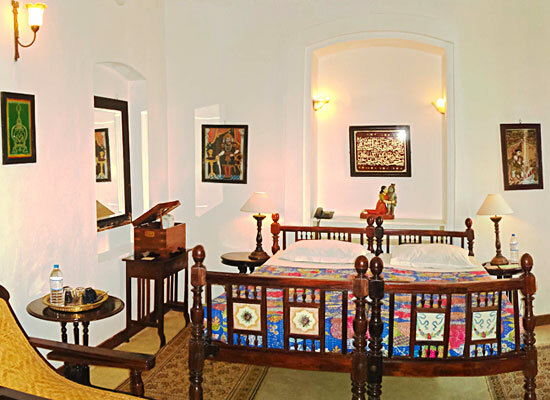 The colonial mansion of De L’orient, Pondicherry has been carefully restored into a luxury hotel, keeping intact its quintessential old world charm, supplementing that with modern comforts and luxuryies. Flow back in time to an ancient period when Punkhawallas gently fanned the air and Tamil spices blended with French restraint to give you the famous Creole cuisine. The hotel houses a total of 14 traditionally furnished rooms and 2 suites featuring an intriguing combination of hybrid colonial furniture. 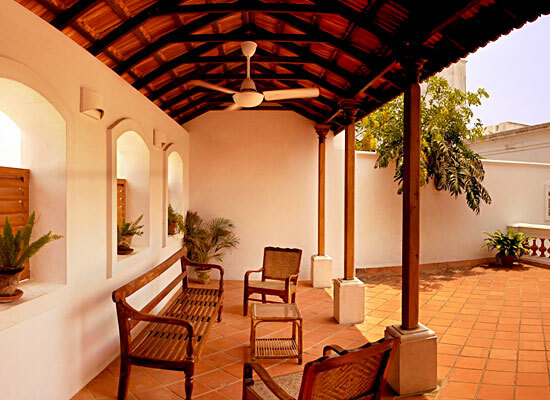 The rooms are fitted with all contemporary facilities to let you enjoy a comfortable sojourn. Carte Blanche – the in-house restaurant is the perfect place to savor the widely renowned Creole cuisine. 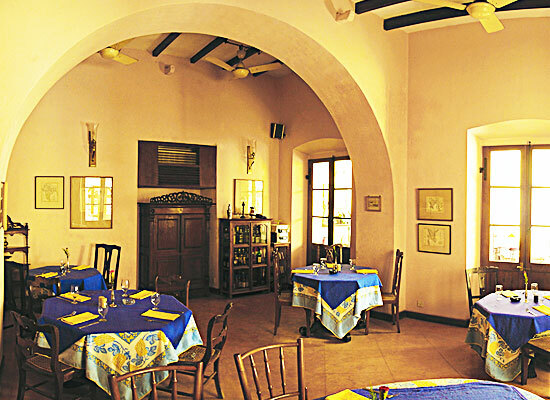 The erstwhile French colony of Pondicherry presents a unique blend of European culture and Indian traditions. The present Union Territory of Pondicherry comprises the town Pondicherry and three other coastal settlements in three different states Karaikal (Tamil Nadu), Mahe (Kerala), and Yanam (Andhra Pradesh). With an enchanting coastline, well-planned French Boulevard town, fascinating beaches, backwaters, fishing villages, world-renowned Yoga centers, the famous Aurobindo Ashram - Pondicherry will ensure that you can spend an enchanting holiday with your friends and family here.